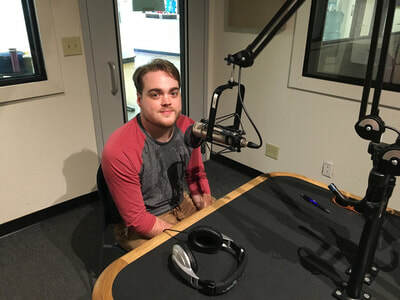 Alamo Drafthouse Austin Repertory and Specialty Film Programmer Jake Isgar and Austin Chronicle film reviewer and Film School Rejects contributor Matthew Monagle, 2018: The Year in Film Roundtable Discussion: Aired Dec. 27, 2018. 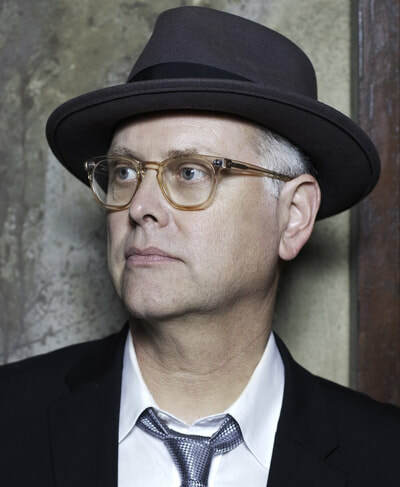 Peter Hedges, writer/director, Ben is Back: Aired Dec. 20, 2018. 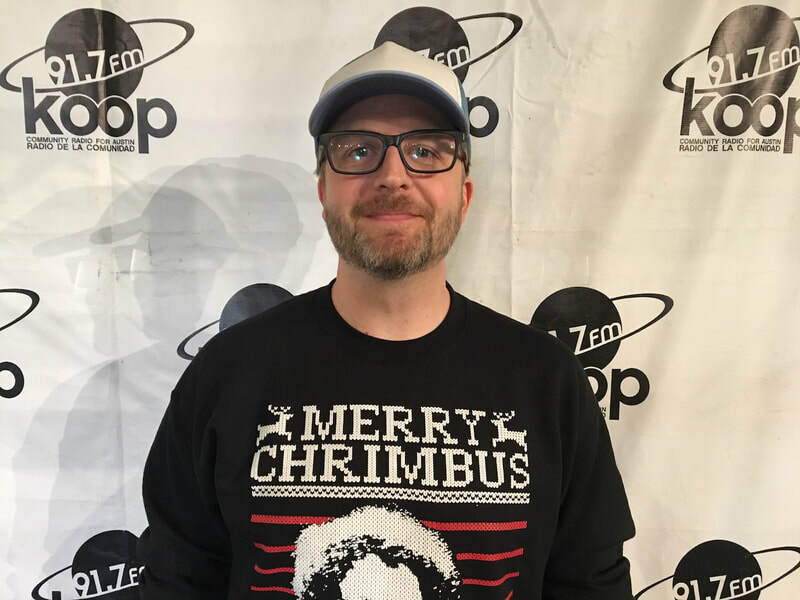 Chris McInroy, writer/director, We Summoned a Demon: Aired Dec. 13, 2018. 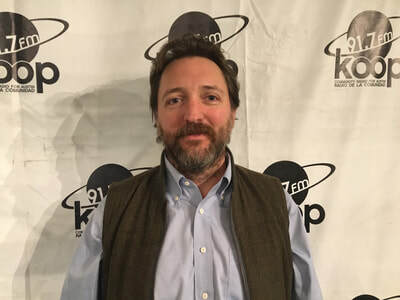 Joel Fendelman, director, Man on Fire: Aired Dec. 13, 2018. Kelli Horan, writer/director, Hindsight: Aired Dec. 6, 2018. 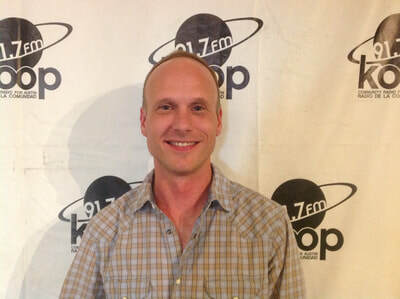 Paul J. Salamoff, writer/director, Encounter: Aired Dec. 6, 2018. 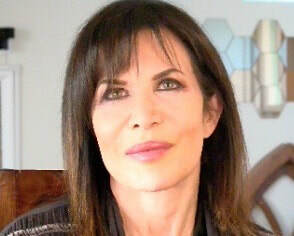 Lizzie Borden, writer/director, Born in Flames: Aired Dec. 6, 2018. 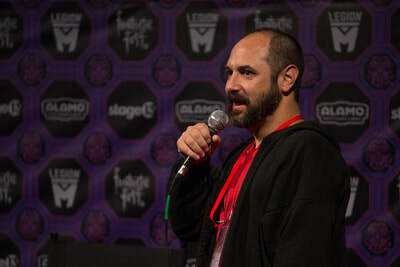 R.J. LaForce, director of programming for Austin and San Antonio, Alamo Drafthouse December 2018 Programming: Posted Dec. 6, 2018. 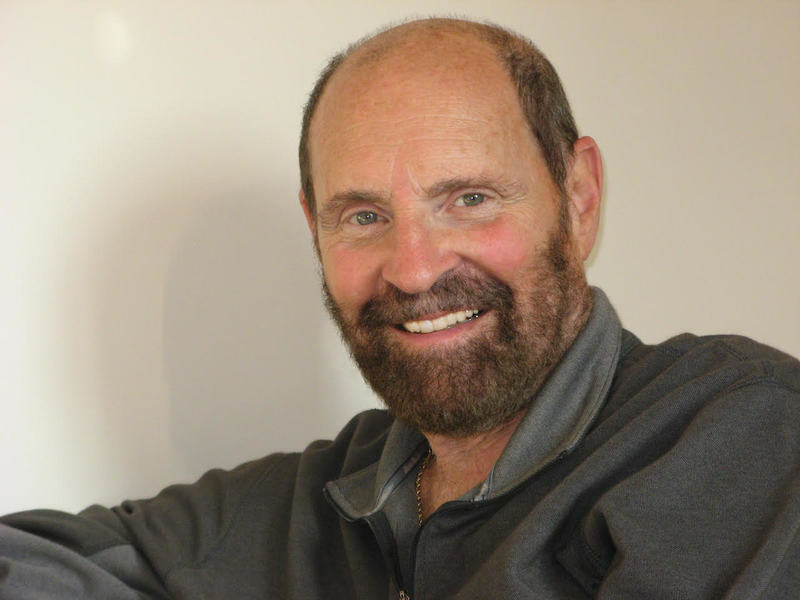 Alan J. Levi, uncredited director, Battlestar Galactica: Aired Dec. 3, 2018. 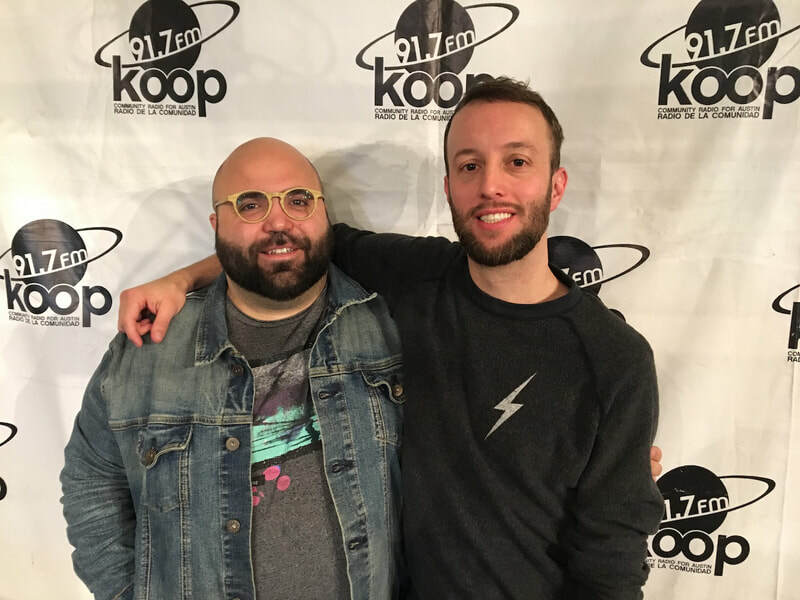 Anthony Erickson and Jeremy Roye, co-founders, ​Austin Music Video Festival: Aired Dec. 3, 2018. 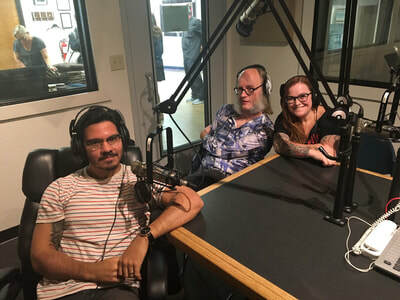 Founder/artistic director Bears Rebecca Fonté and associate artistic director Jordan Brown, Other Worlds Austin: Aired Nov. 29, 2018. 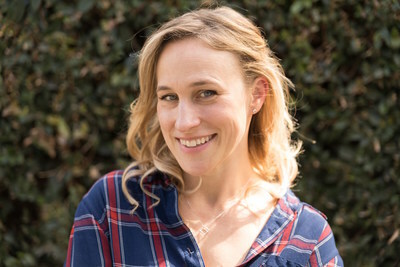 Pamela Ribon, co-screenwriter, Ralph Breaks the Internet: Aired Nov. 29, 2018. 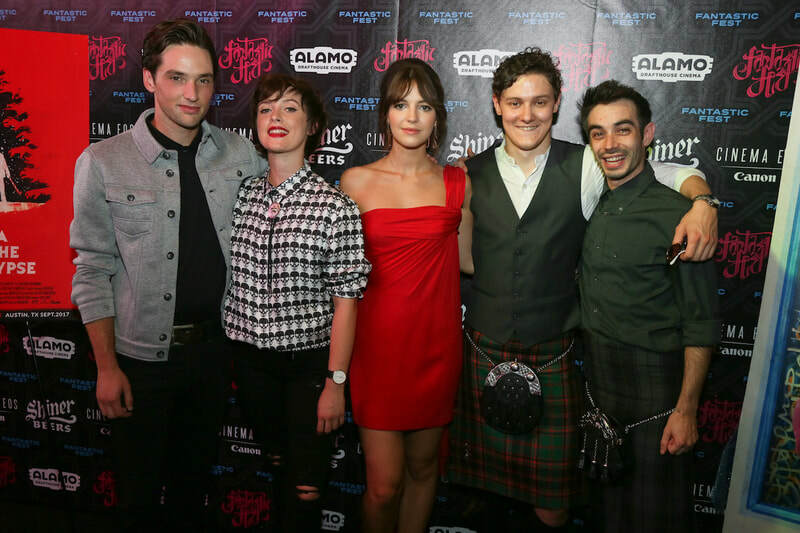 Director John McPhail (right) and the cast of Anna and the Apocalypse: Aired Nov. 29, 2018. 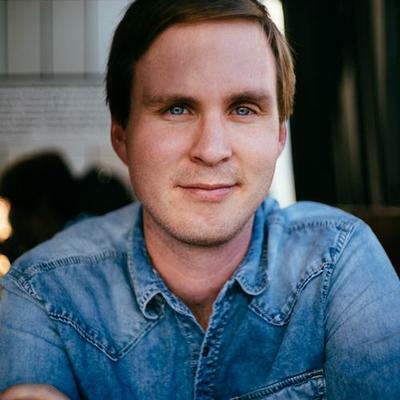 Co-writer/director Ryan Booth and producer Henry Proegler (pictured), The Heights: Aired Nov. 22, 2018. 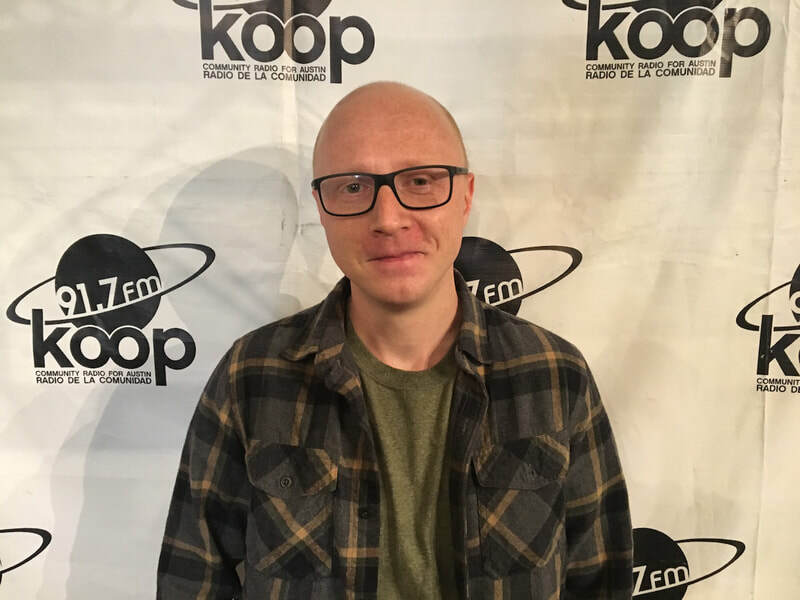 Daniel Earney, ​writer/director, The Backup Plan: Aired Nov. 22, 2018. 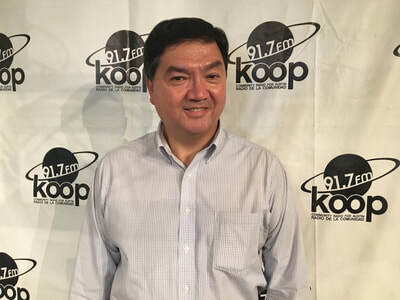 Alfred Cervantes, ​deputy director, Houston Film Commission, Texas Filmmaker's Showcase 2018: Aired Nov. 22, 2018. 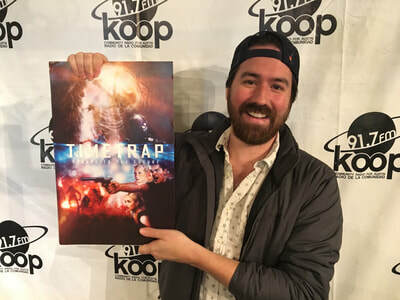 Mark Dennis and Ben Foster (pictured), directors, Time Trap: Aired Nov. 15, 2018. 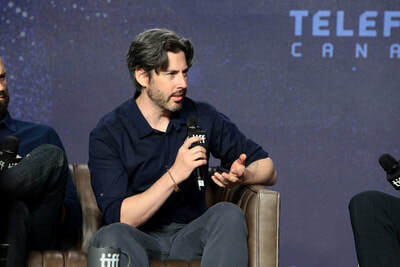 Jason Reitman, co-writer/director, The Front Runner: Aired Nov. 15, 2018. 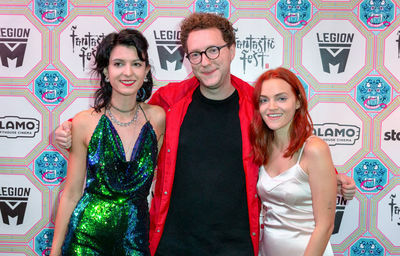 Screenwriter Isa Mazzei, director Daniel Goldhaber, and star Madeline Brewer, Cam: Aired Nov. 15, 2018. 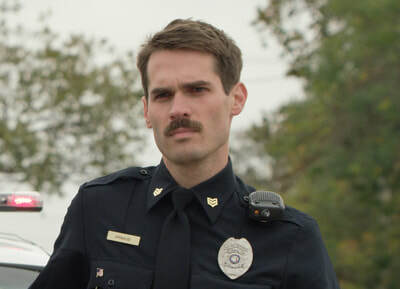 Jim Cummings, writer/director/star, Thunder Road: Aired Nov. 8, 2018. 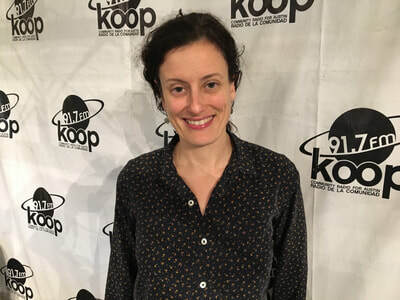 Joanna Gutt-Lehr, co-chair, ​Austin Polish Film Festival: Aired Nov. 8, 2018. 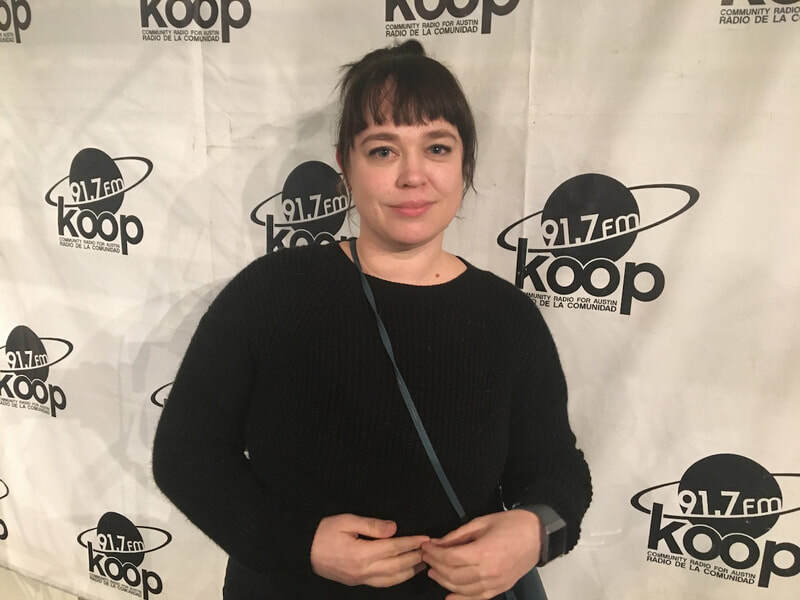 Jenny Nulf, director of programming, Austin Asian American Film Festival's ​Feminine Identities: A Winter Showcase: Aired Nov. 1, 2018. 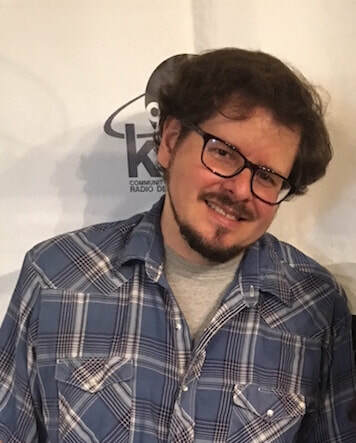 Director Joseph Kahn (pictured) and stars Jackie Long and Calum Worthy, Bodied: Aired Nov. 1, 2018. 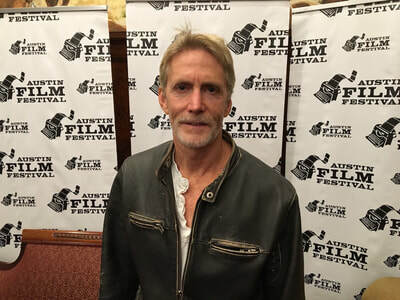 Lars Nilsen, lead film programmer, Austin Film Society November 2018 Programming: Posted Nov. 1, 2018. 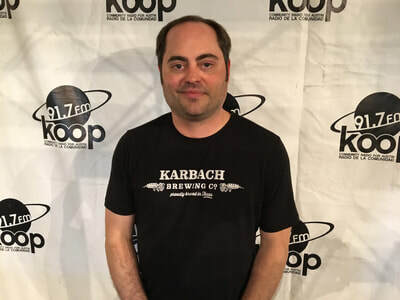 R.J. LaForce, director of programming for Austin and San Antonio, Alamo Drafthouse November 2018 Programming: Posted Nov. 1, 2018. 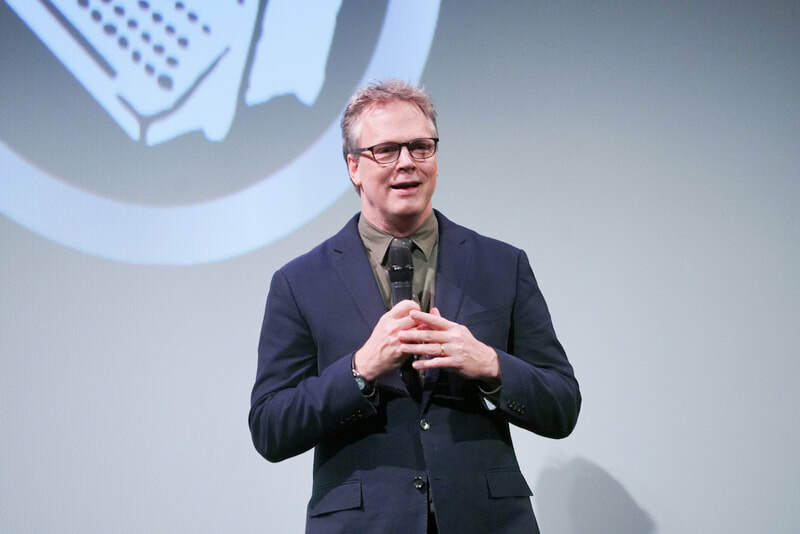 Bradley Beesley, director, Fathers of Football: Aired Oct. 26, 2018. 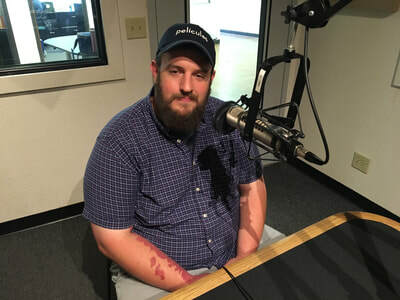 Tyler Russell, writer/director, Texas Cotton: Aired Oct. 26, 2018. 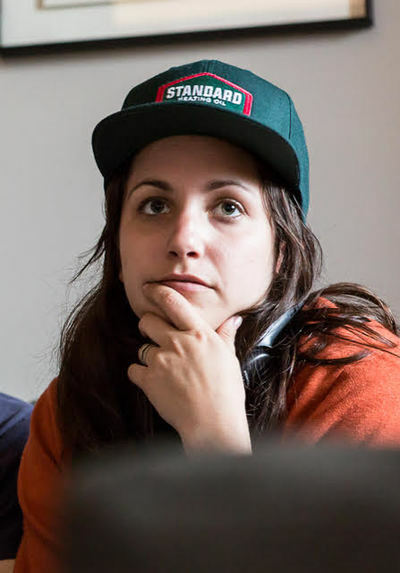 Hannah Fidell, co-writer/director, The Long Dumb Road: Aired Oct. 26, 2018. 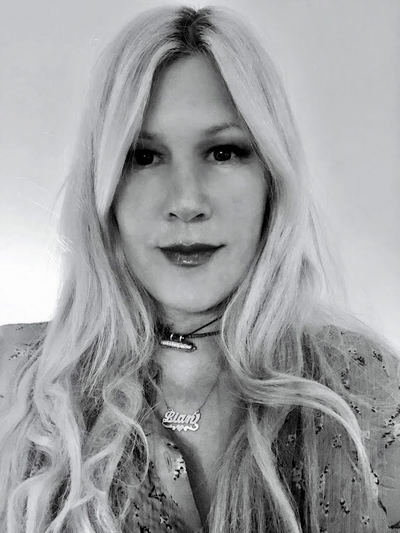 Lian Lunson, ​writer/director, Waiting for the Miracle to Come: Aired Oct. 25, 2018. 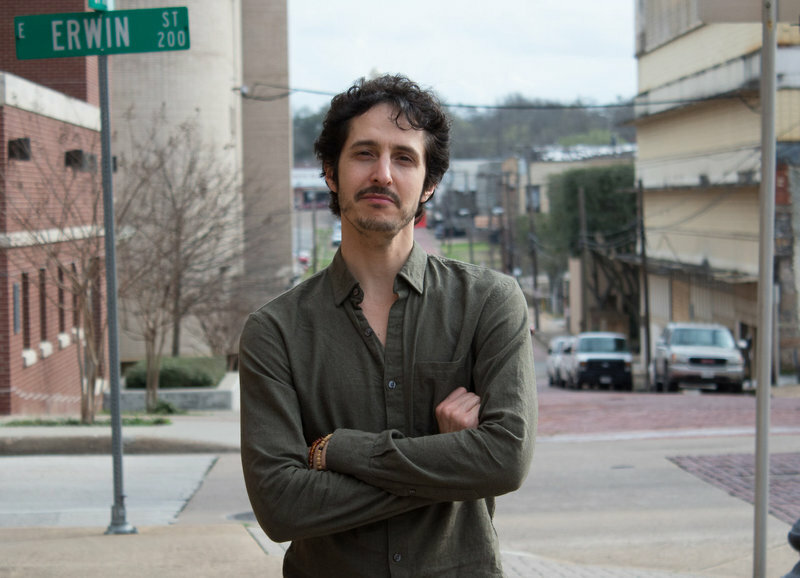 Daniel Laabs, writer/director, Jules of Light and Dark: Aired Oct. 25, 2018. 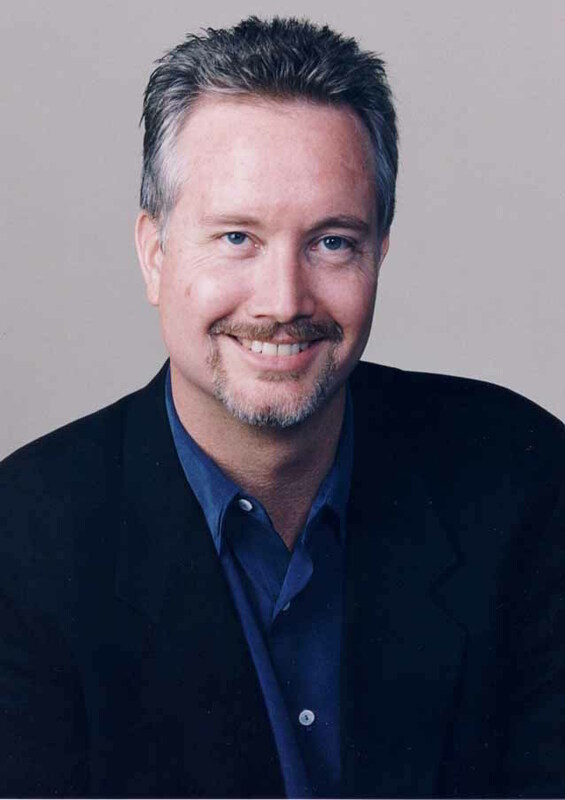 Mike Blizzard, ​director, Also Starring Austin: Aired Oct. 18, 2018. 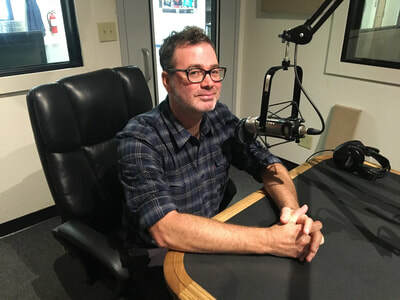 Ty Roberts, writer/director, The Iron Orchard: Aired Oct. 18, 2018. 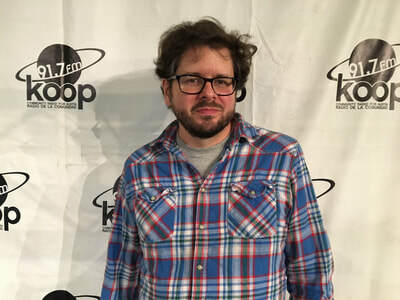 Ike Barinholtz, writer/director/star, The Oath: Aired Oct. 19, 2018. 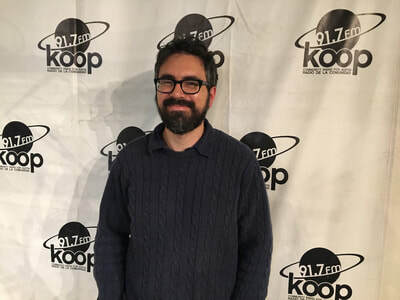 Mondo creative directors Eric Garza and ​Rob Jones and artist Becky Cloonan, Mondo's Marvel Studios: The First 10 Years Gallery Show: Aired Oct. 11, 2018. 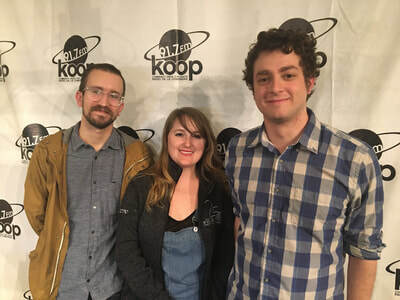 Colin Hyer, ​Liz Mims, and Harrison Glaser, Austin Film Festival: Aired Oct. 11, 2018. 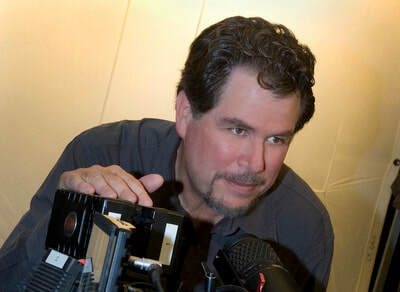 Don Coscarelli, author, True Indie: ​Life and Death in Filmmaking: Aired Oct. 4, 2018. 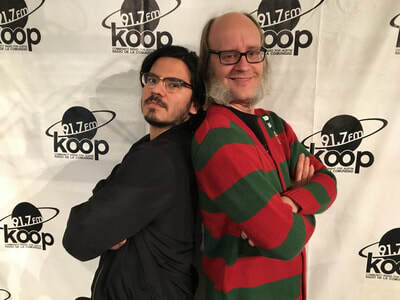 Dave Biller (left), Bob Hofnarr (right), and Jackie Myers (not pictured), composers, Silent Films Out Loud: ​Halloween Edition: Aired Oct. 4, 2018. 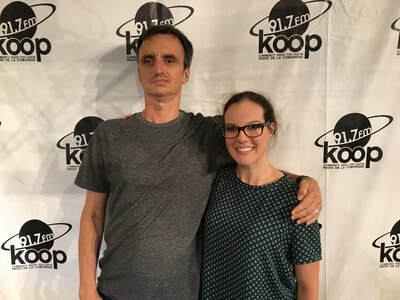 Director William Greer and assistant director Jennifer Bracy, Cinema Touching Disability Film Festival: Aired Oct. 2018. 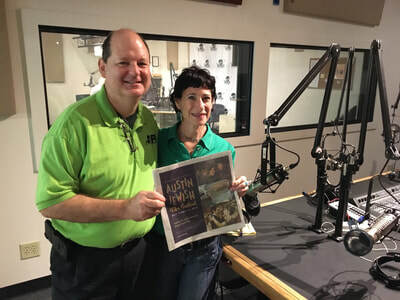 Co-director David Finkel and committee member Wendy R. Corn, Austin Jewish Film Festival: Aired Oct. 4, 2018. 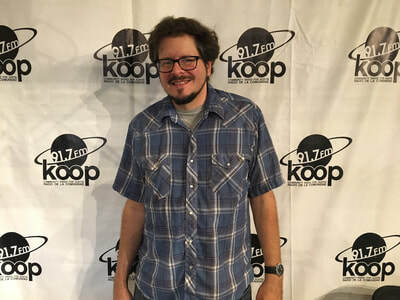 Lars Nilsen, lead film programmer, Austin Film Society October 2018 Programming: Posted Oct. 4, 2018. 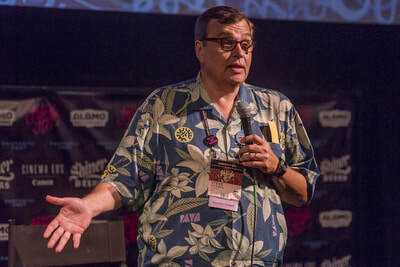 R.J. LaForce, director of programming for Austin and San Antonio, Alamo Drafthouse October 2018 Programming: Posted Oct. 4, 2018. 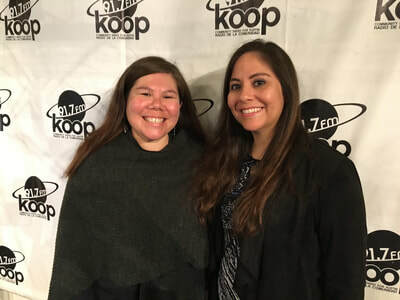 Liz Tabish and Giselle Marie Muñoz co-directors, ​Austin Arthouse Film Festival: Aired Sept. 27, 2018. 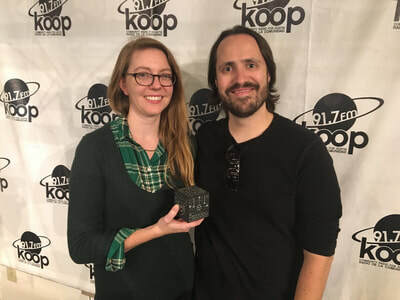 Writer/director Jim Hickcox and producer/animator Makena Buchanan, Soft Matter: Aired Sept. 27, 2018. 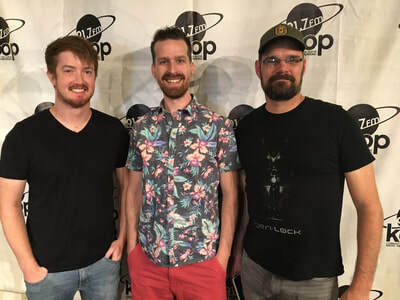 Creator/showrunner Gray G. Haddock (center right) and staff writer Evan Narcisse (right), gen:LOCK: Aired Sept. 28, 2018. 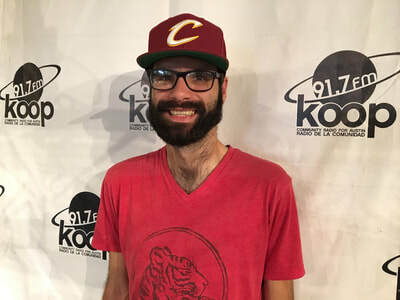 Jon Rhoads, ​co-writer/co-director, Riley Was Here: Aired Sept. 20, 2018. 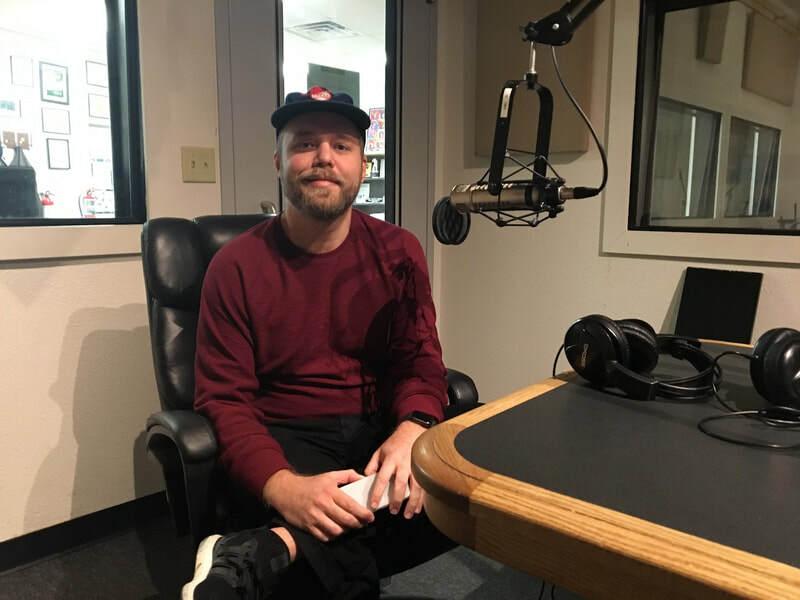 James Christopher, Austin Revolution Film Festival organizer and A Chance of Snow writer/director: Aired Sept. 6, 2018. 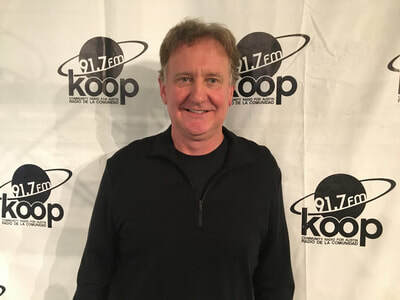 Steve Mims, director, Run Like the Devil: Aired Sept. 6, 2018. 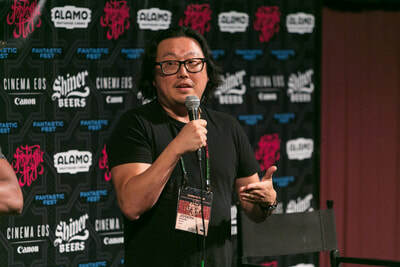 Josh Martin, Austin Asian American Film Festival programmer, Reality in Long Shots: ​A Hou Hsiao-hsien Retrospective: Aired Sept. 6, 2018. 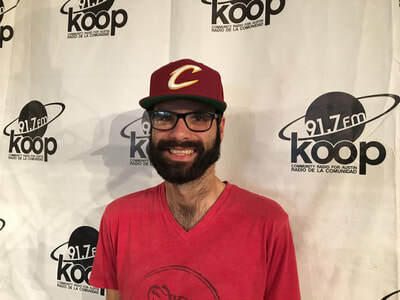 Jake Isgar, Austin Repertory and Specialty Film Programmer, Alamo Drafthouse September 2018 Programming​: Posted Sept. 4, 2018. 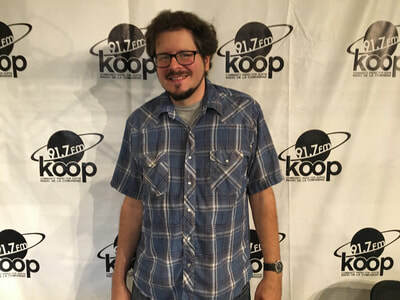 Lars Nilsen, lead film programmer, Austin Film Society September 2018 Programming: Posted Aug. 30, 2018. 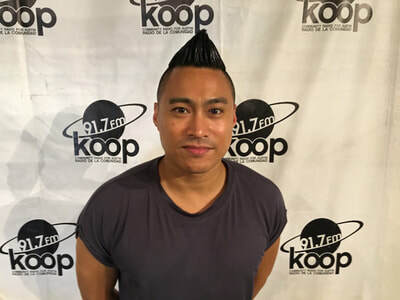 PJ Raval, director, Call Her Ganda: Aired Aug. 30, 2018. 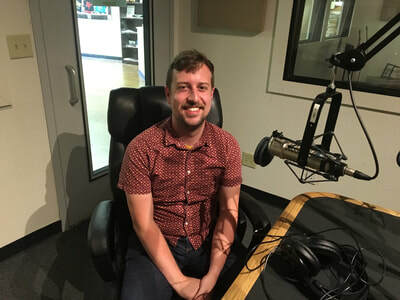 Jim Brunzell, program director, All Genders, Lifestyles, and Identities ​Film Festival: Aired Aug. 30, 2018. 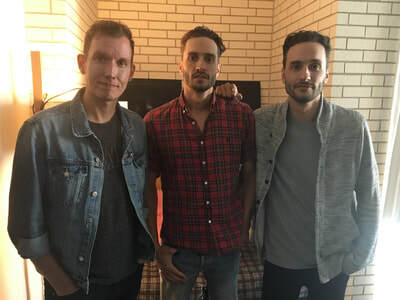 Screenwriter Daniel Casey and directors Jonathan Baker and Josh Baker, Kin: Aired Aug. 30, 2018. 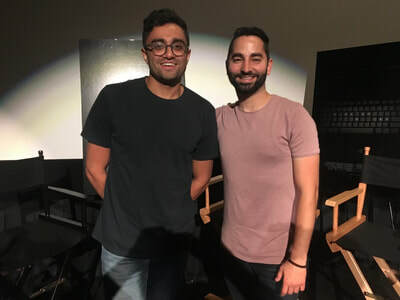 Director/co-writer Aneesh Chanty and co-writer Sev Ohanian, Searching: Aired Aug. 30, 2018. 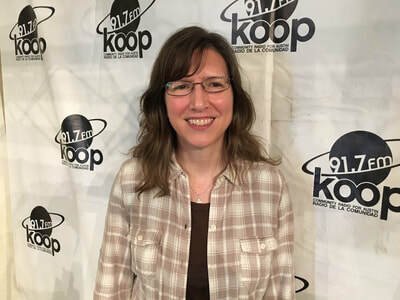 Lisa Donato, director, There You Are and Foxy Trot: Aired Aug. 23, 2018. 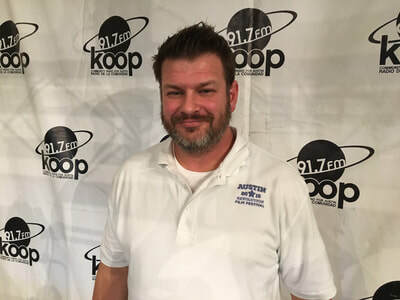 Landry Gideon, director, One Act Play: Aired Aug. 23, 2018. 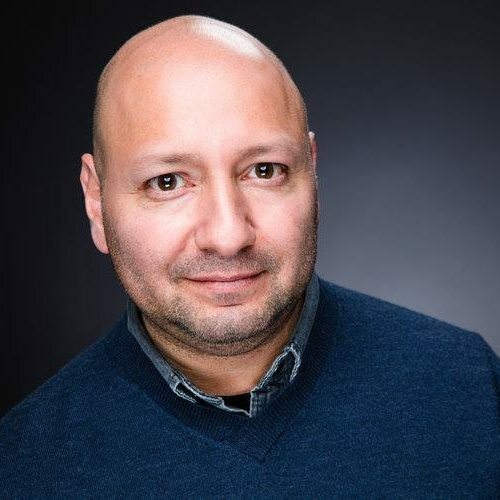 Jeremy Sadowski, director, Breaking Down Barriers: ​The C.R. 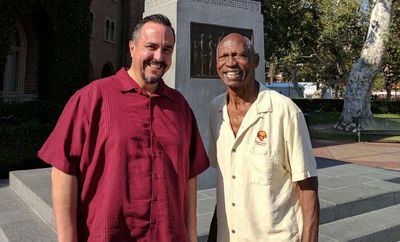 Roberts Story: Aired Aug. 23, 2018. 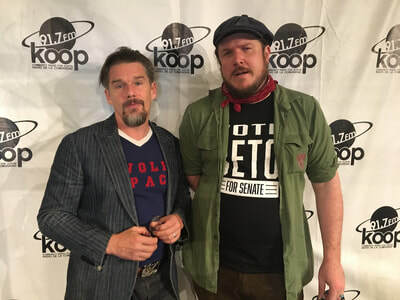 Writer/director Ethan Hawke and star Ben Dickey, Blaze: Aired Aug. 16, 2018. 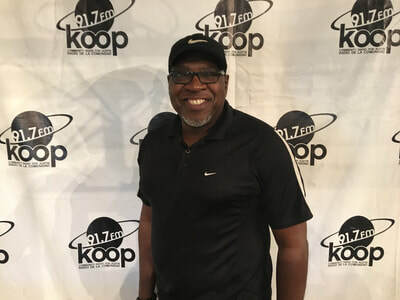 Winston G. Williams, executive director, Capital City Black Film Festival: Aired Aug. 16, 2018. 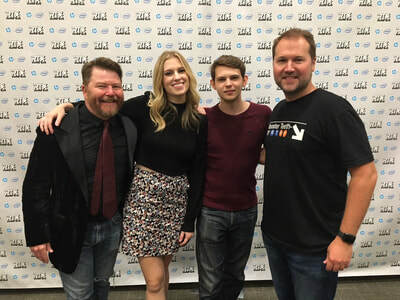 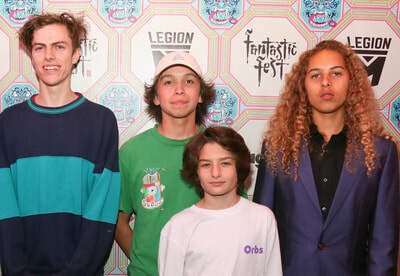 Owen Egerton, Barbara Dunkleman, Robbie Kay, Matt Hullum, and Nick Rutherford, Blood Fest: Aired Aug. 9, 2018. 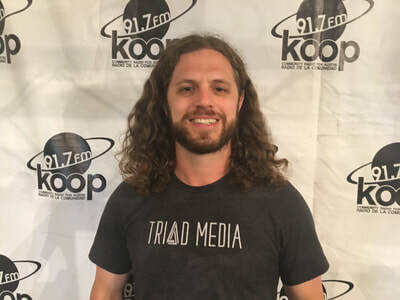 Augustine Frizzell, writer/director, Never Goin' Back: Aired Aug. 9, 2018. 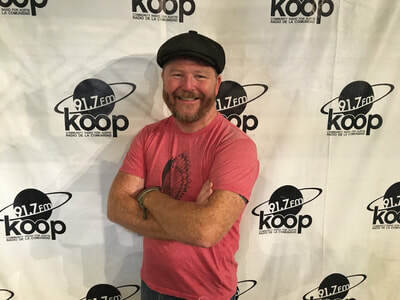 Owen Egerton, ​writer/director/star, Blood Fest: Aired Aug. 2, 2018. 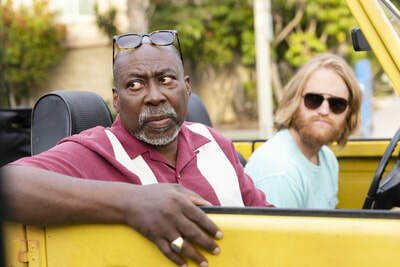 Brent Jennings and Wyatt Russell, Lodge 49: Aired Aug. 2, 2018. 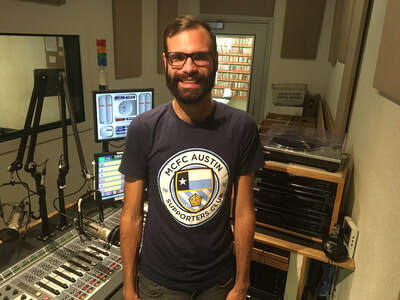 R.J. LaForce, director of programming for Austin, Alamo Drafthouse August 2018 Programming: Posted Aug. 5, 2018. 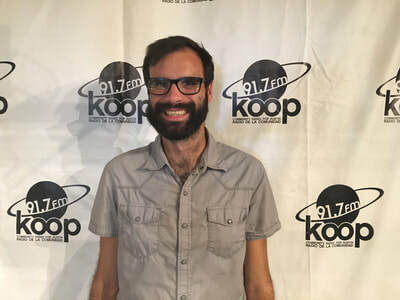 Lars Nilsen, lead film programmer, Austin Film Society August 2018 Programming: Posted Aug. 2, 2018. 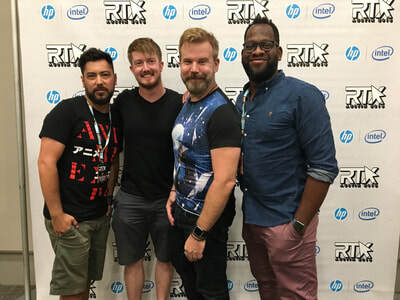 Chad James, Sean Hinz, and Koen Wooten, Rooster Teeth producers, RTX Austin 2018/ ​RTX Animation Festival: Aired July 26, 2018. 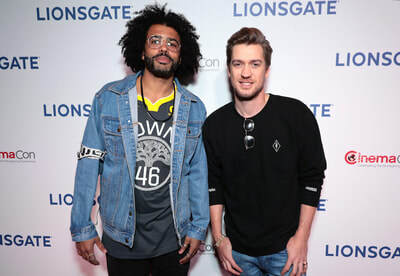 Daveed Diggs (left), ​Rafael Casal (right), and director Carlos López Estrada, Blindspotting: Aired July 26, 2018. 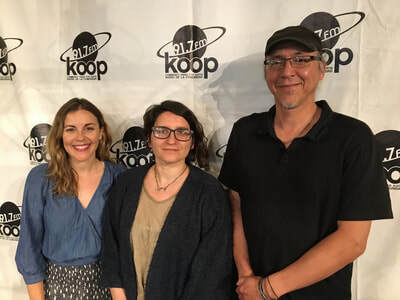 Artistic director Justin Sherburn, interviewer Emily Lofaro, and videographer David Barrow, The Legend of Big Bend: Aired July 19, 2018. 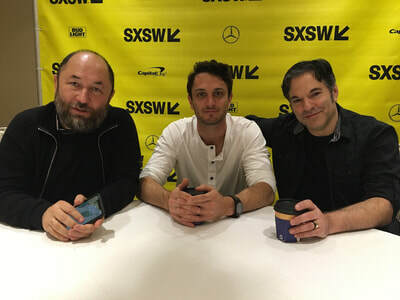 Producer Timur Bekmambetov, star Colin Woodell, and writer/director Stephen Susco, Unfriended: Dark Web: Aired July 19, 2018. 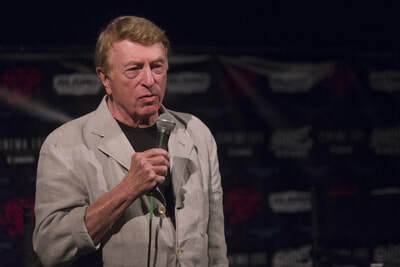 Larry Cohen, ​documentary subject, King Cohen: Aired July 19, 2018. 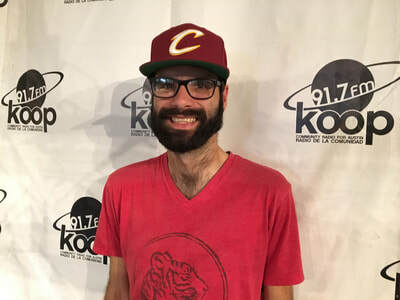 Steve Mitchell, ​director, King Cohen: Aired July 19, 2018. 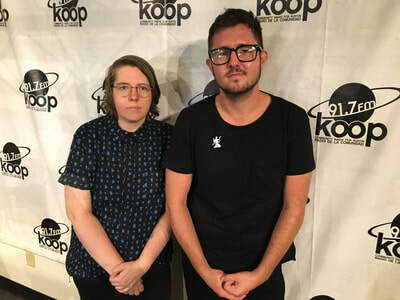 Tish Sparks and Jeremy von Stilb, founders and programmers, Contrast Film Festival: Aired July 12, 2018. 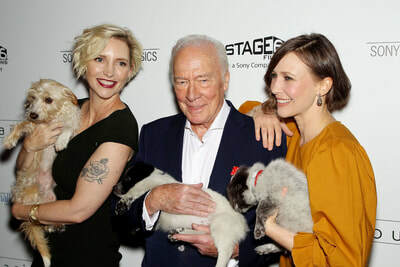 Writer/director Shana Feste (left) and stars Lewis MacDougall and Yahya Abdul-Mateen II, Boundaries: Aired July 12, 2018. 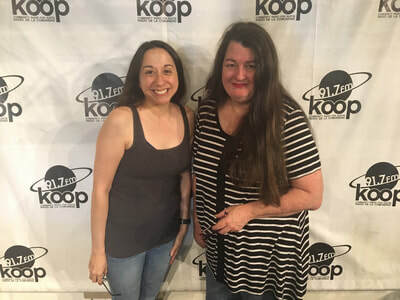 Denise Garza and Liz Reeder Neubauer, ​participating filmmakers, Austin 48 Hour Film Project: Aired July 5, 2018. 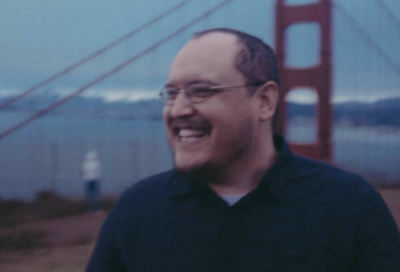 David Franklin, ​director, As Far As the Eye Can See: Aired July 5, 2018. 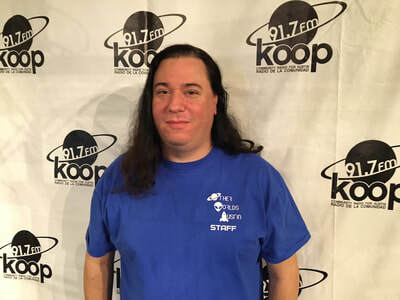 R.J. LaForce, director of programming for Austin, Alamo Drafthouse July 2018 Programming: Posted July 5, 2018. 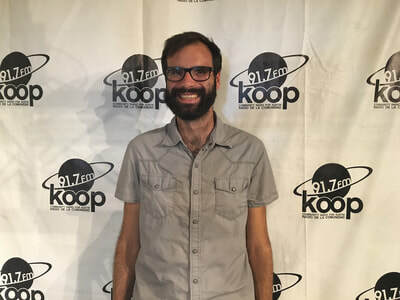 Lars Nilsen, lead film programmer, Austin Film Society July 2018 Programming: Posted July 5, 2018. 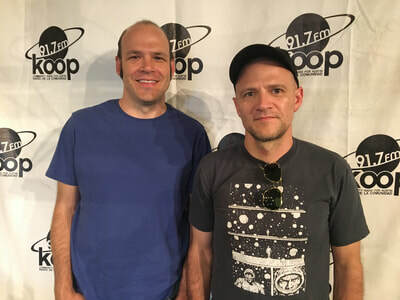 Nathan Zellner and David Zellner, writers/directors/stars, Damsel: Aired June 28, 2018. 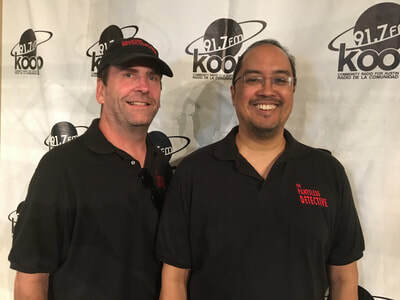 Tom Chamberlain and Dipu Bhattacharya, stars/writers/creators, The Pantsless Detective: Aired June 28, 2018. 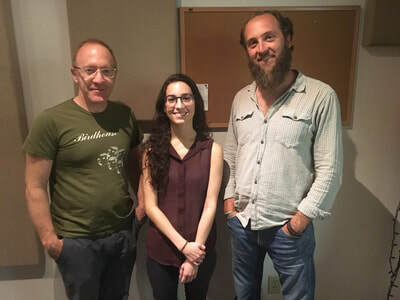 Stephanie Ard (left), co-writer Jeff Storms (right), and writer/director Daniel Siegelstein, People With Issues: Aired June 21, 2018. 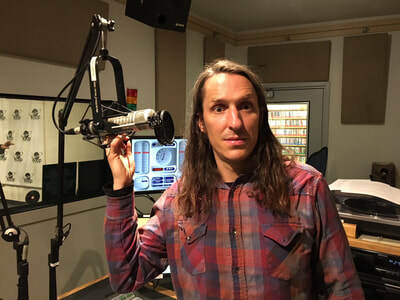 Gabriel Judet-Weinshel, ​writer/director, 7 Splinters in Time: Aired June 21, 2018. 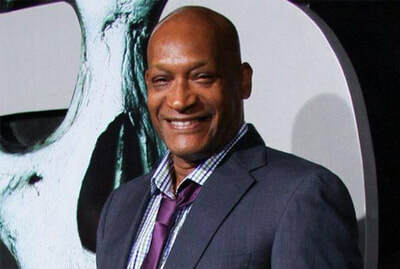 Tony Todd, Greater Austin Comic Con: Aired June 14, 2018. 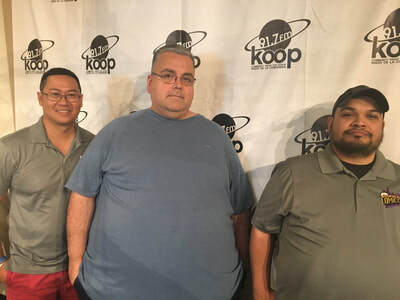 Co-founder/president Vo Nguyen, Artist Alley coordinator ​JJ Torres, programming coordinator Peter Mares, Greater Austin Comic Con: Aired June 14, 2018. 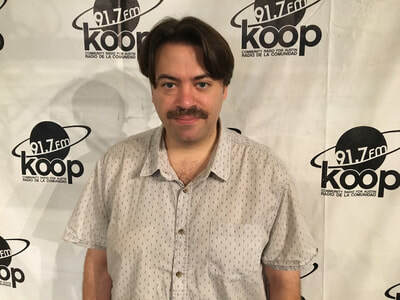 R.J. LaForce, director of programming for Austin, Alamo Drafthouse June 2018 Programming: Posted June 8, 2018. 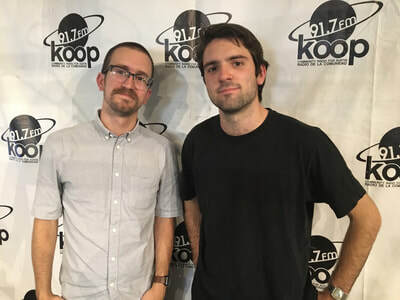 Alex Wolff, Milly Shapiro, and writer/director Ari Aster (pictured), Hereditary: Aired June 7, 2018. 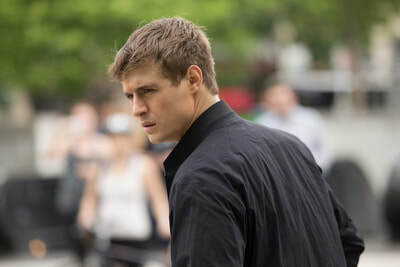 Max Irons (pictured), Leem Lubany, and creators Jason Smilovic and Todd Katzberg, Condor: Aired June 7, 2018. Lars Nilsen, lead film programmer, Austin Film Society June 2018 Programming: Posted June 1, 2018. 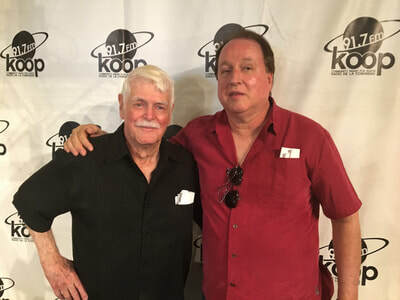 Gary Kent and director Joe O’Connell, Love and Other Stunts: Aired May 31, 2018. 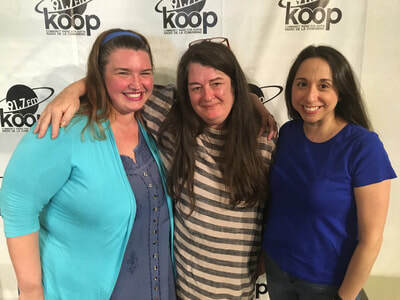 Contest producer Alyne Harding and participating filmmakers Liz Reeder Neubauer and Denise Garza, Austin 48 Hour Film Project: Aired May 31, 2018. 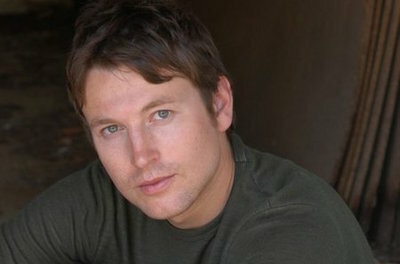 Leigh Whannell, writer/director, Upgrade: Aired May 31, 2018. 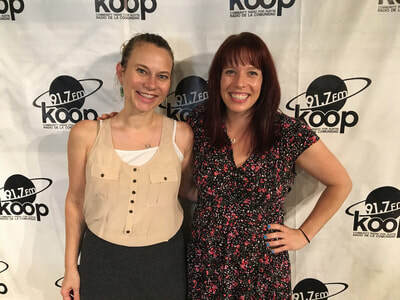 Emily Gipson and Caitlin McFarland, co-founders/co-executive directors, ATX Television Festival: Aired May 24, 2018. 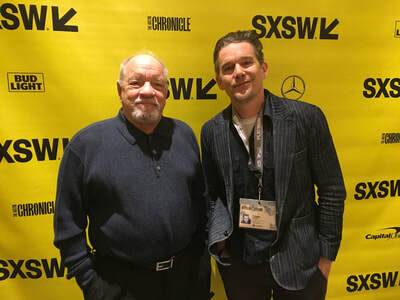 Writer/director Paul Schrader and Ethan Hawke, First Reformed: Aired May 24, 2018. 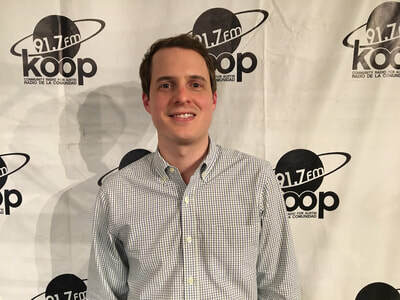 Stephen Jannise, Paramount Theatre film programmer, Paramount Summer Classic Film Series: Aired May 17, 2018. 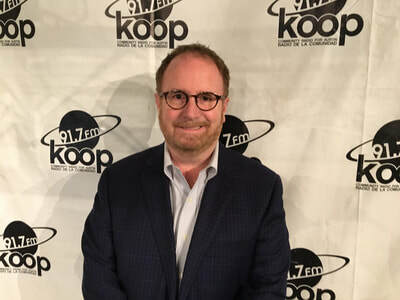 Eddie Muller, host/co-producer, Noir City Austin 2018: Aired May 17, 2018. 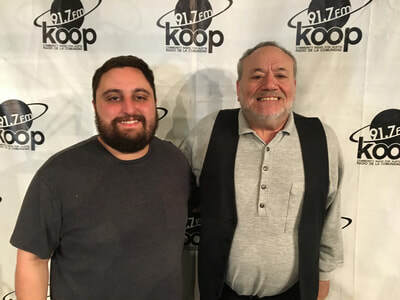 Ray Spivey, ​co-director, The Last of the Moonlight Towers: Aired May 10, 2018. 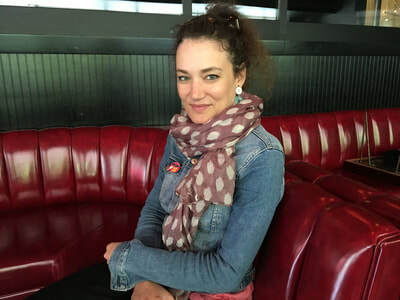 Coralie Fargeat, writer/director, Revenge: Aired May 10, 2018. 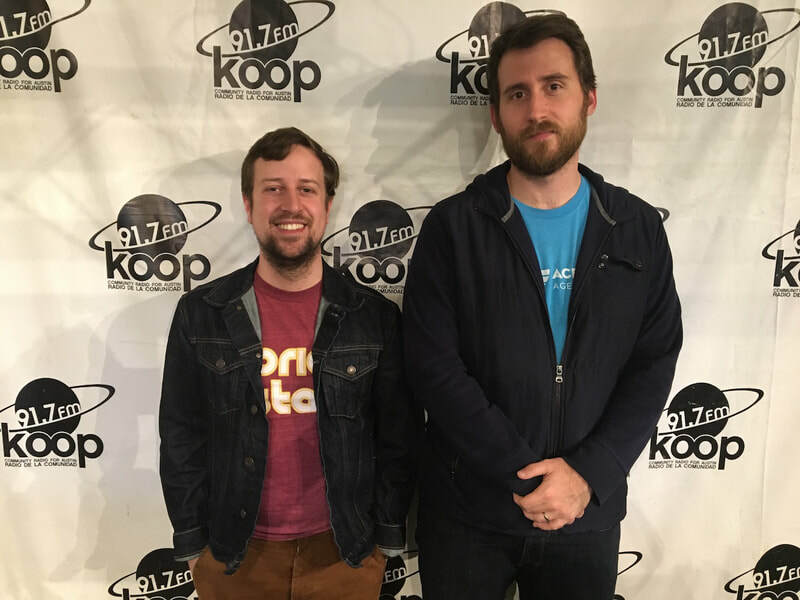 Austin Film Festival Conference Director Colin Hyer and ​Young Filmmakers Program Coordinator Stefan Allen: Aired May 10, 2018. 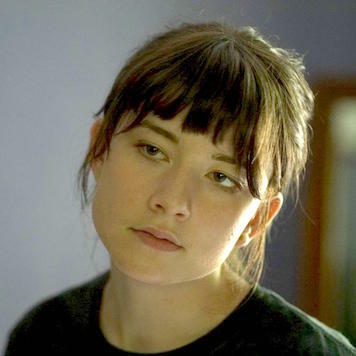 The Returned's Sarah M. Kuck, Calling's Artemis Anastasiadou, and Towards the Sun's Humberto Adrián Pérez: Aired May 3, 2018. 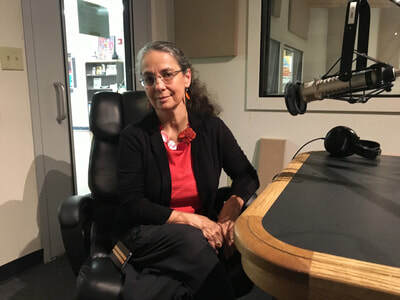 Anne Lewis, ​director, A Strike and an Uprising (in Texas): Aired May 3, 2018. 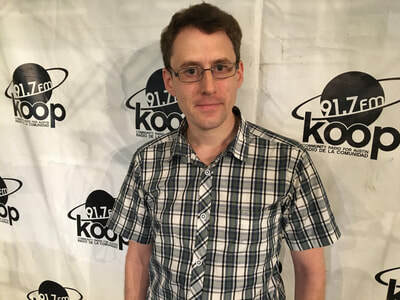 Lars Nilsen, lead film programmer, Austin Film Society May 2018 Programming: Posted May 3, 2018. 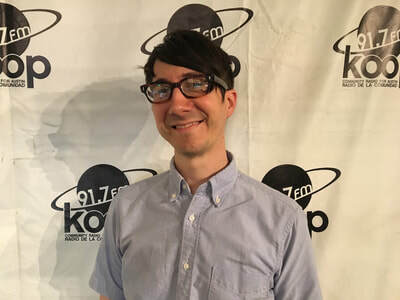 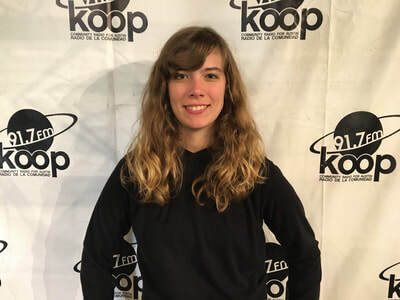 R.J. LaForce, director of programming for Austin, Alamo Drafthouse May 2018 Programming: Posted May 3, 2018. Jean Lauer, ​film festival director, Cine Las Americas International Film Festival: Aired April 26, 2018. 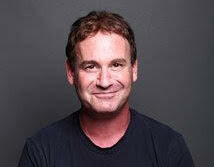 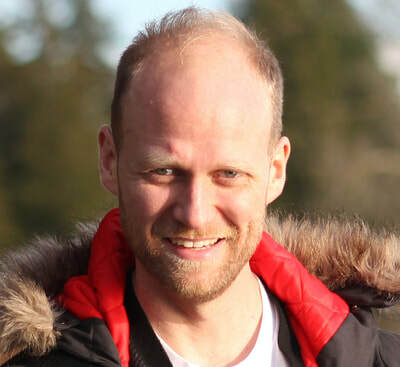 Jake O'Hare (pictured) and Jennifer Sturley, directors, Love's Labour's Lost: Aired April 26, 2018. 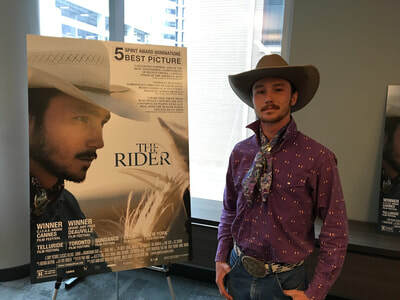 Brady Jandreau, The Rider: Aired April 26, 2018. 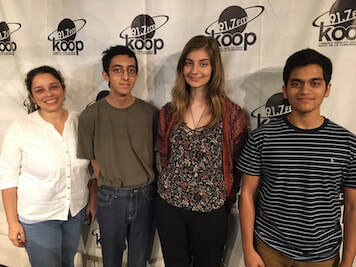 Tania Romero, Ani Naser, Ana Dragomir and Prayas Vats, the Indie Meme Film Festival Youth Initiative: Aired April 19, 2018. 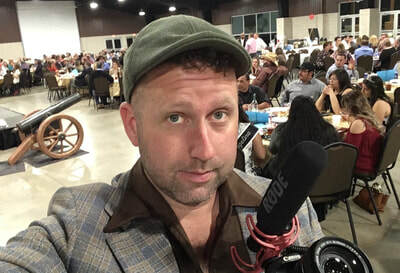 Erik McCowan, director, Dance Hall Days: Aired April 19, 2018. 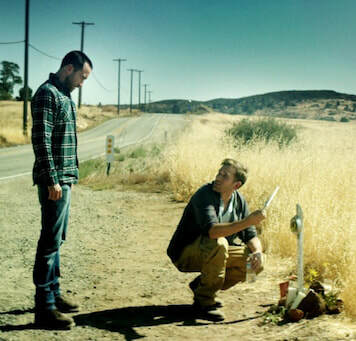 Justin Benson and Aaron Moorhead, directors, The Endless: Aired April 19, 2018. 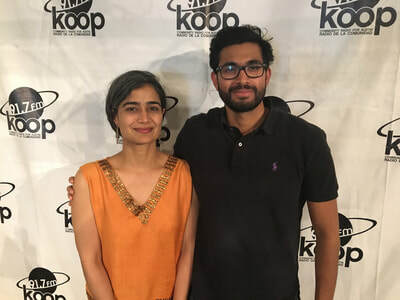 Co-founder Alka Bhanot and programming director Sai Pramod Mohan, Indie Meme Film Festival: Aired April 12, 2018. Chad Mathews, executive director, The Hill Country Film Festival: Aired April 12, 2018. 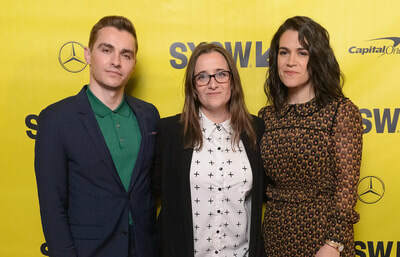 Writer/director Marja-Lewis Ryan (center) and producers Samantha Housman and Ross Dinerstein, 6 Balloons: Aired April 12, 2018. 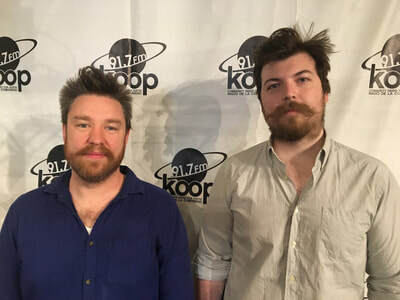 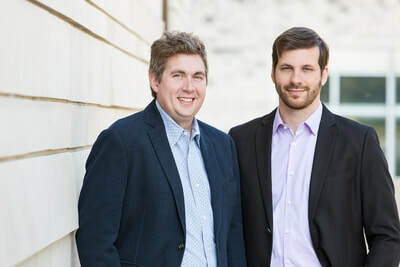 Director John Curran and screenwriters Andrew Logan (left) and Taylor Allen (right), Chappaquiddick: Aired April 5, 2018. 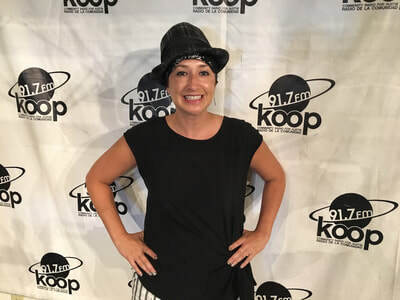 Pamela Ribon, Moana and Wreck-It-Ralph 2 screenwriter, ​Girls Impact the World Film Festival: Aired April 5, 2018. 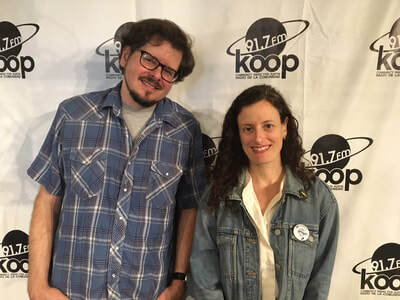 Lars Nilsen and Holly Herrick, ​Austin Film Society, April 2018 Programming: Posted April 5, 2018. 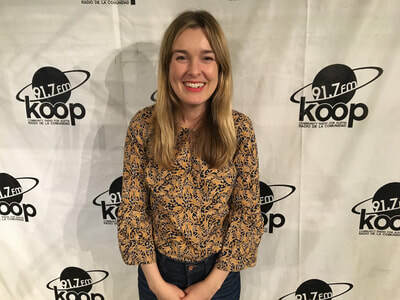 R.J. LaForce, director of programming for Austin, Alamo Drafthouse April 2018 Programming: Posted April 5, 2018. 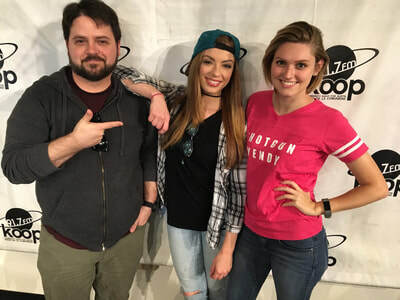 Writer/director Lex Lybrand and stars Kelsey Thomas and Rachel DeRouen, Maybe Shower: Aired March 29, 2018. 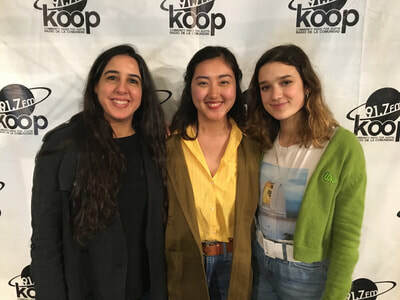 Founder Lila Igram, co-director Layla Yu, and student filmmaker Susannah Joffe, ​Girls Impact the World Film Festival: Aired March 29, 2018. 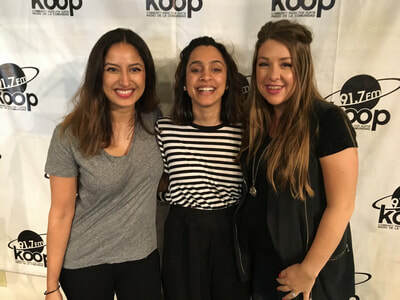 Writer/creator Shruti Saran and Nikita Redkar and Chelsea Lane, Gym Buddies: Aired March 22, 2018. 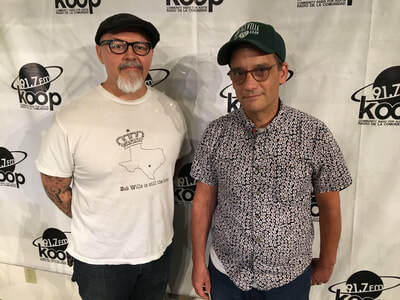 Collins Swords and Louis Black, editors, CinemaTexas Notes: ​The Early Days of Austin Film Culture: Aired March 22, 2018. 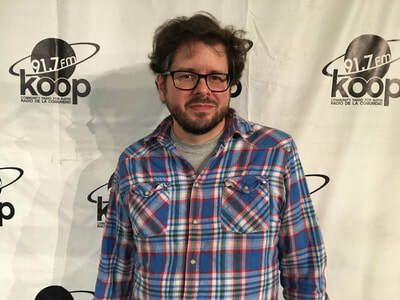 Andrew Bujalski, writer/director, Support the Girls: Aired March 15, 2018. 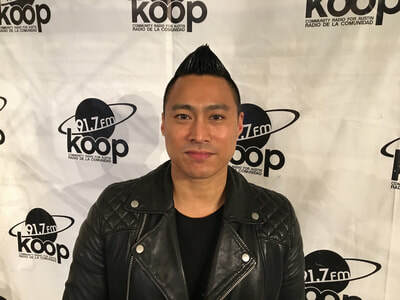 Co-director PJ Raval (pictured) and documentary subject Jessica Jin, Come & Take It: Aired March 15, 2018. 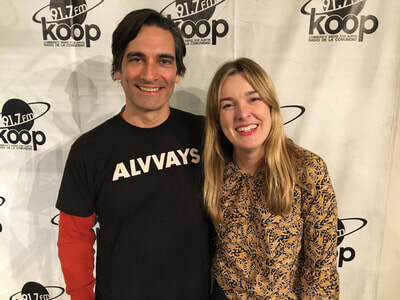 Jay Duplass and Sophie Thatcher, Prospect: Posted March 15, 2018. 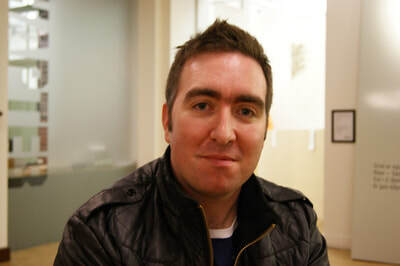 Steve Sullivan, ​director, Being Frank: ​The Chris Sievey Story: Posted March 14, 2018. 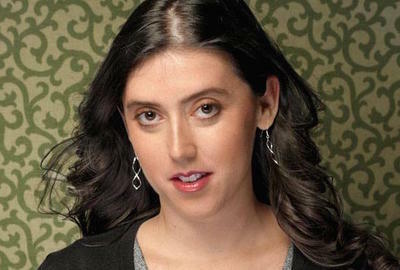 Alison Klayman, ​director, Take Your Pills: Posted March 9, 2018. 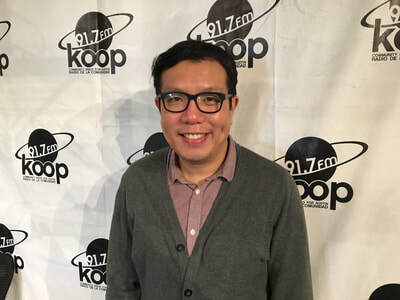 Yen Tan, writer/director, 1985: Aired March 8, 2018. 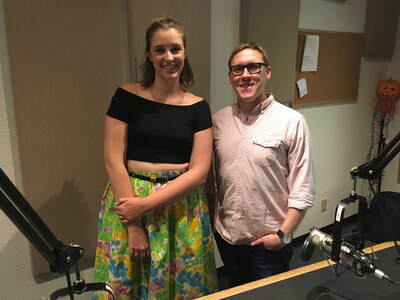 Writer/director Michael Tully and actress Anna Margaret Hollyman, Don't Leave Home: Aired March 8, 2018. 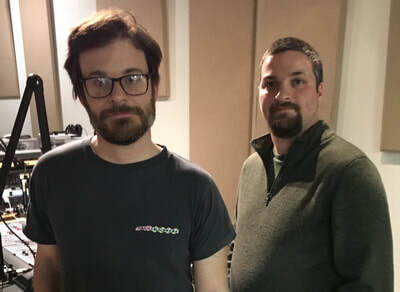 Director/co-writer/co-editor Byron Brown and ​producer/co-writer/co-editor David James Ward, The Mangina Exit: Aired March 8, 2018. 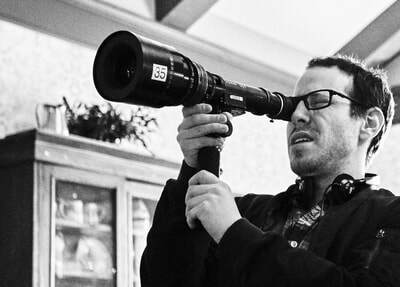 John Hyams, ​director, All Square: Aired March 8, 2018. 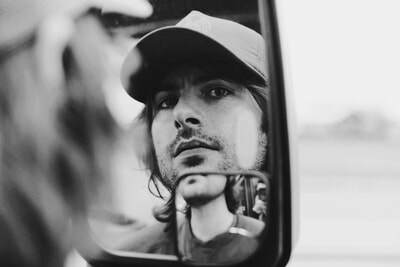 Robert Schwartzman, ​director, The Unicorn: Aired March 8, 2018. 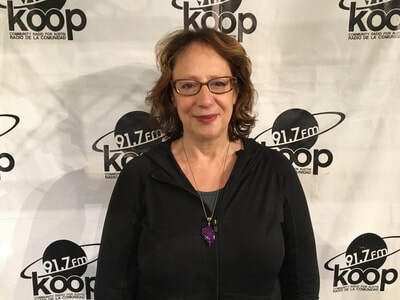 Carol Brandt, director, Pet Names: Aired March 8, 2018. 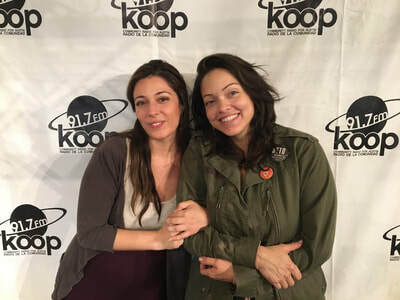 Co-director Chelsea Hernandez and editor Monica Santis, An Uncertain Future: Aired March 1, 2018. 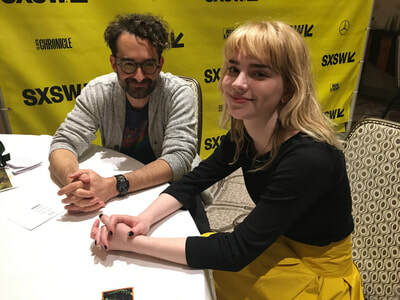 Anna Margaret Hollyman, writer/director/star, Maude: Aired March 1, 2018. 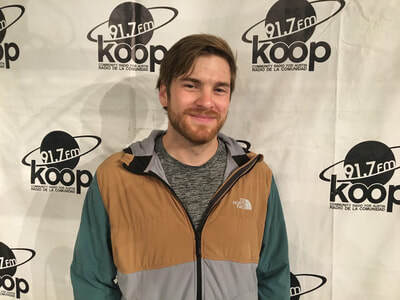 Lars Nilsen, ​lead film programmer, ​Austin Film Society, March 2018 Programming: Posted March 2, 2018. 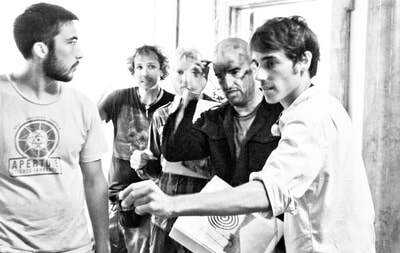 Robin Aubert, ​writer/director, Ravenous (Les Affamés): Posted March 1, 2018. 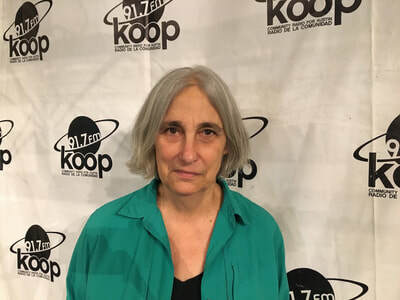 Janet Pierson, SXSW Film Festival ​Director of Film: Aired Feb. 22, 2018. 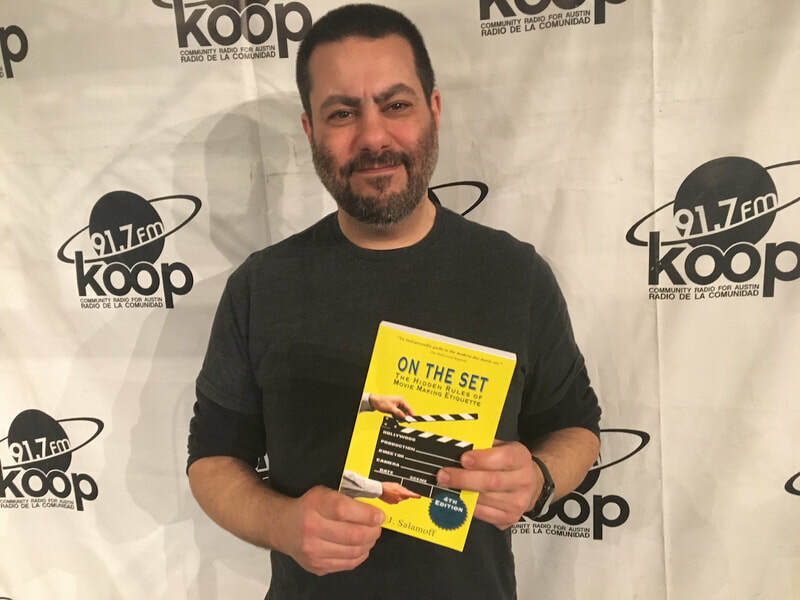 Patrick Bresnan, co-director, Roadside Attraction: Aired Feb. 22, 2018. 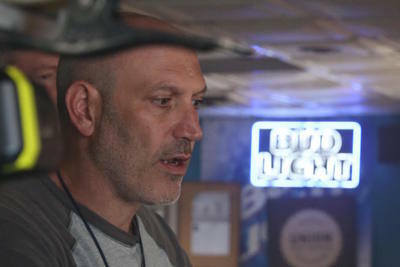 Brian Smrz, director, 24 Hours to Live: Aired Feb. 22, 2018. 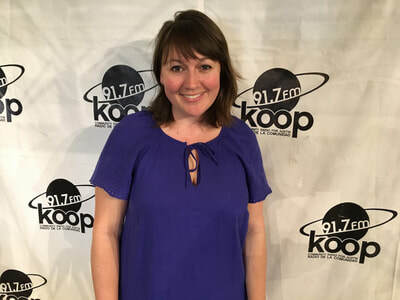 Holly Herrick, the Austin Film Society's Head of Film and Creative Media﻿, 2018 Texas Film Awards: Aired Feb. 15, 2018. 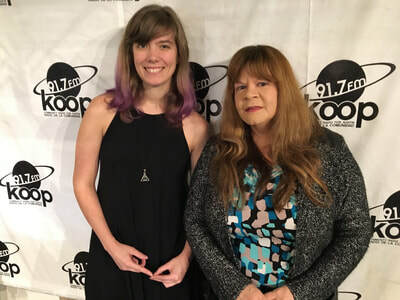 Tugg EDU's Jenny Nulf and Other Worlds Austin Sci-Fi Film Festival's Debbie Cerda, the 90th Academy Awards: Aired Feb. 15, 2018. 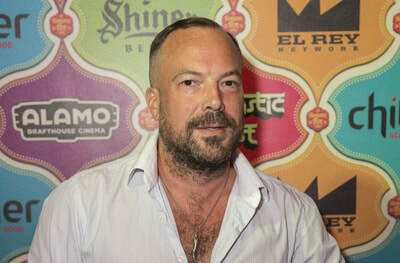 Simon Rumley, writer/director, Fashionista: Aired Feb. 8, 2018. 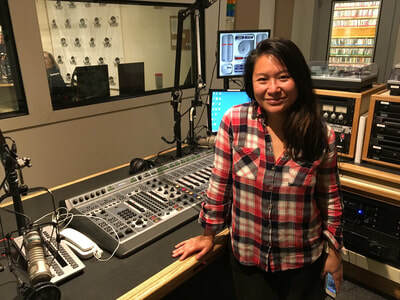 ​Christine Chen, ​director, The Earth Below: Aired Feb. 8, 2018. 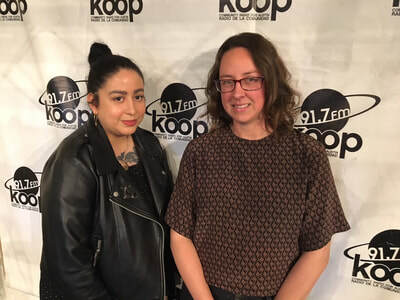 Faiza Kracheni and Danea Johnson, organizer and co-founder, Transform Film Fest: Aired Feb. 1, 2018. 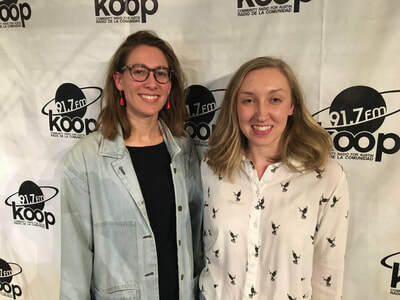 Digital project librarian Lauren Walker and graduate student assistant Jackie Mann, The Harry Ransom Center Movie Poster Collection: Aired Feb. 1, 2018. 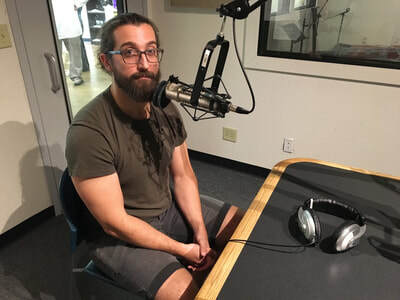 Mat Hames, ​director, Becoming Jessica Nigri: Aired Jan. 25, 2018. 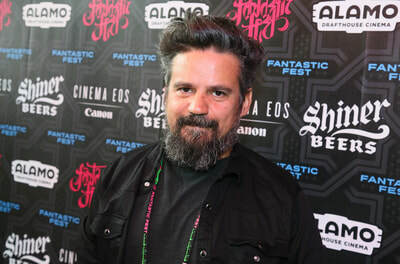 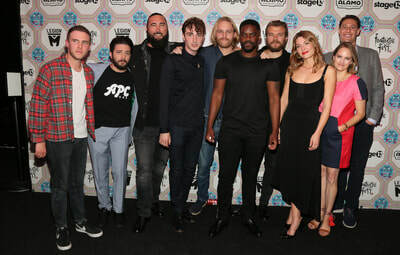 Bears Fonte, Other Worlds Austin SciFi Film Festival and AM/FM Magazine, ​Sundance Film Festival 2017 Report: Aired Jan. 25, 2018. 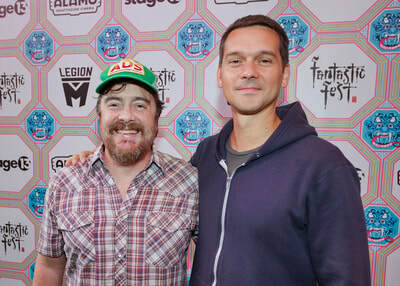 Mondo creative directors Eric Garza (left) and Rob Jones (right) and Phantom City Creative illustrator/graphic designer Justin Erickson, Mondo Universal Studios Monsters Gallery Show: Aired Jan. 18, 2018. 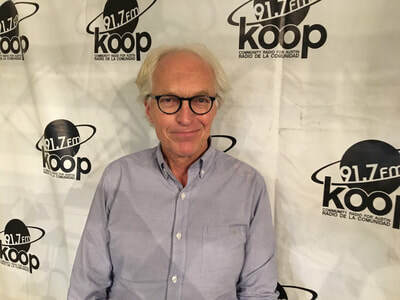 John Robison, ​owner, New Republic Studios: Aired Jan. 18, 2018. 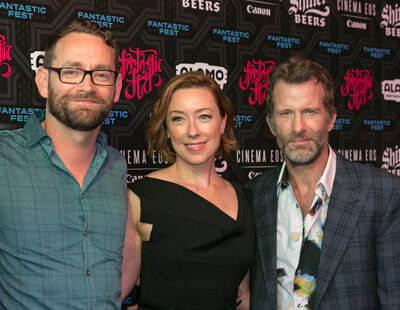 Writer/director Zak Hilditch, Molly Parker and Thomas Jane, 1922: Aired Jan. 11, 2018. 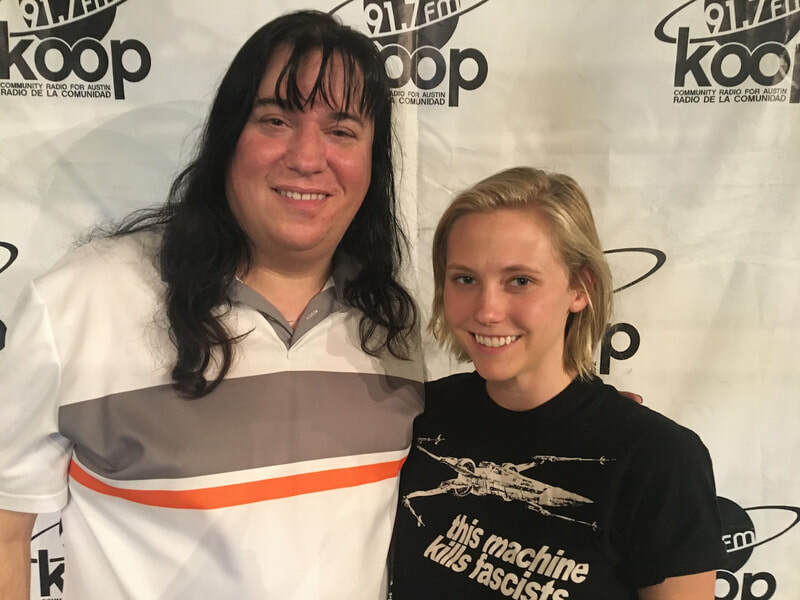 Mighty Coconut studio manager Christina Martell and director/co-founder Lucas Martell, 57° North: Aired Jan. 4, 2017. 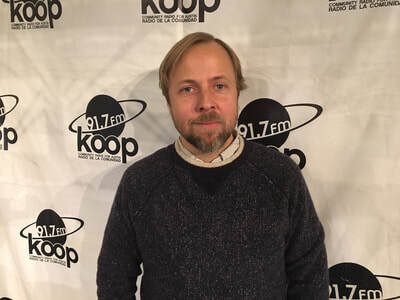 Lars Nilsen, ​lead film programmer, ​Austin Film Society, January 2018 Programming: Posted Jan. 4, 2018. 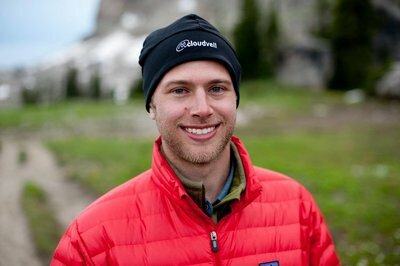 Steven Rogers, ​writer, I, Tonya: Aired Jan. 4, 2017.